Tonight I was downloading some pictures of my property and this picture just showed up out of nowhere. I did not take this picture, my camera has not been used in weeks because I didn't need it and the batteries were dead. This picture was in the middle of about 30 pictures I was downloading but the time line just doesn't work. The boxes behind the oddity were only stacked there last week, long after the other pictures were taken. 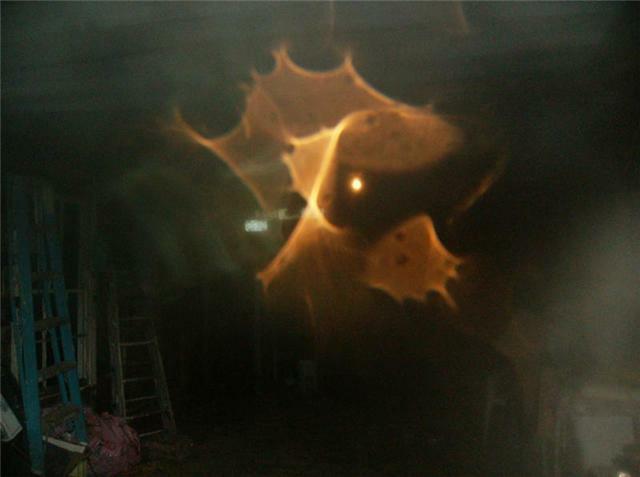 I have looked at a lot of paranormal photos but I have never seen anything like this. I am no stranger to the other world, to the point that it is just a part of my life. But I have no explanation for this unusual sight. It has taken me an hour to get this picture to attach. I have been sending pictures to several people tonight before I downloaded this one and I didn't have a problem. But the computer has shut down countless times so whatever is in this picture obviously does not want it sent. However, I am nothing but persistant. I will be surprised if it eventually goes through. Have you seen others like it? I'm not worried. Just curious. Thanks, I hope you can help. My daughter and I visited Banff, Alberta this summer, and this picture was taken at the Lower Falls during a hike in Johnston Canyon. 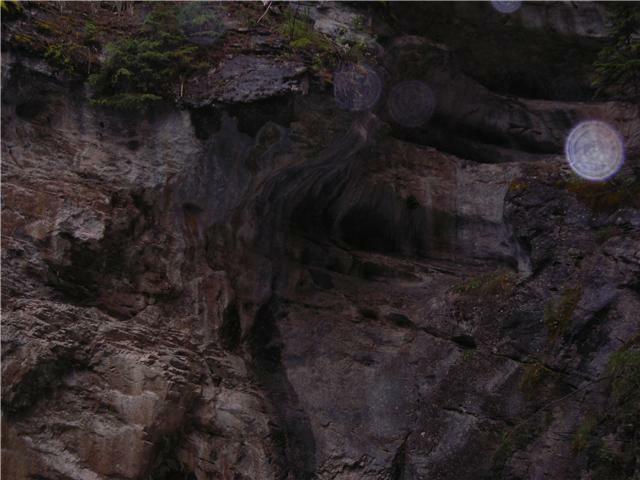 There are multiple orbs, which showed up in quite a few of our pictures during this hike, but the thing that really caught my attention was what seems to be a hooded ghostly aparition. Upon zooming in on the picture, you can actually see a face within the hood.